Razak is white, short hair in firecracker, a mouth finer than Moira. a little nose (normal) Moira noz is more bigger. 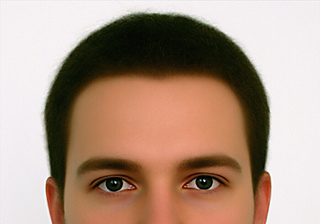 green eyes, slightly brown at the bottom of the eye. She is thin, long black hair (half back) her eyes her purple. https://www.savezvousque.fr/wp-content/uploads/2014/04/oeil-syndrome-alexandria_thumbnail.jpg tanned skin (some arabic) a mouth a little fleshy and large.